At first thought it would be easy to understand why most people would have the impression that a government building is safe from crime - surely a criminal would assume that the government employs the best security solution they can find? Unfortunately, this isn’t true, and criminals know it. In fact, many government buildings still do not possess security systems that are specifically designed for each individual location. Government buildings such as offices and buildings; town halls; public housing, community centres, libraries and public buildings; infrastructure and utilities; as well as compounds and storage areas often lack the required security. 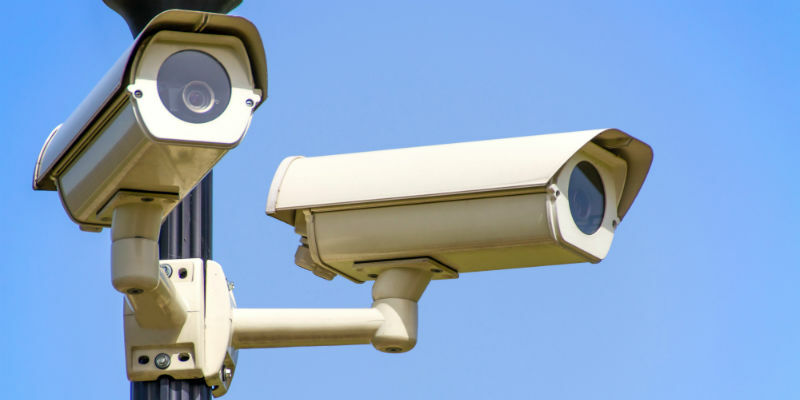 Government’s of all levels must ensure that both inside and outside locations are monitored, and Sonitrol Western Canada is perfectly positioned to monitor movement with our unique and innovative verified video CCTV technology. Having helped the police apprehend more than 175,000 criminals to date, Sonitrol alarms successfully deter thieves, stop the destruction of equipment and property damage and make vandalism on government buildings a thing of the past. How does verified video work? An integrated Sonitrol verified CCTV security solution will be monitored remotely in real-time by trained security professionals that work in highly-sophisticated environments, where they use state-of-the-art and innovative security technology. Once activated by audio detection, heat or motion sensors, a live stream will be broadcast directly to this monitoring facility, where professionals will either verify the alarm as a threat and contact the police or verify the detection as a false alarm. This solution is far more effective than conventional alarm systems, which always have high false alarm rates. Once an alarm is verified, Sonitrol instantly alerts the police who dispatch on average in just 3-4 minutes for Sonitrol alarms. 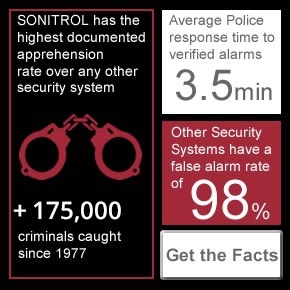 With the speed in which police are dispatched to verified alarms, Sonitrol’s security system almost nullify the threat of crime and stop criminal activity before it takes place. Conventional alarms, on the other hand, merely provide footage of who the criminal might be after the crime has been committed - and that’s if they’re even captured by the camera. Why should government buildings choose Sonitrol Western Canada? Sonitrol Western Canada is proud to have served federal, provincial and municipal governments across western Canada for more than 50 years, analyzing each of their specific needs and implementing a robust security plan into each individual location. We implement innovative solutions and state-of-the-art technology that are not available from our competitors, all built around our proprietary verified audio and video detection process and backed by a team of installation, service and monitoring professionals. Expertise – You need someone you can trust to get the job done right, on time and on budget. Sonitrol is able to work around the government’s demanding schedules and get the job done right, working around your needs. A complete solution – Our state-of-the-art audio detection technology is superior to anything on the market today. When it’s complemented with our video, fire protection, and managed access control, Sonitrol offers the perfect and complete security solution. We are proven – No other security company matches Sonitrol’s results. We have helped the police apprehend more than 175,000 criminals and that’s only increasing each year. Criminals now know our name and stay away from locations that use our technology. Our Guarantee - We provide our customers with leading edge technology and quality service backed by our unique Commitment to Service. 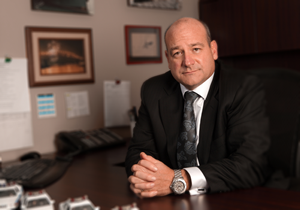 Most other security companies simply cannot guarantee what we do here at Sonitrol. Want more information on how you can properly secure your government building, or simply want a free audit and quote? Contact us today to find out more.